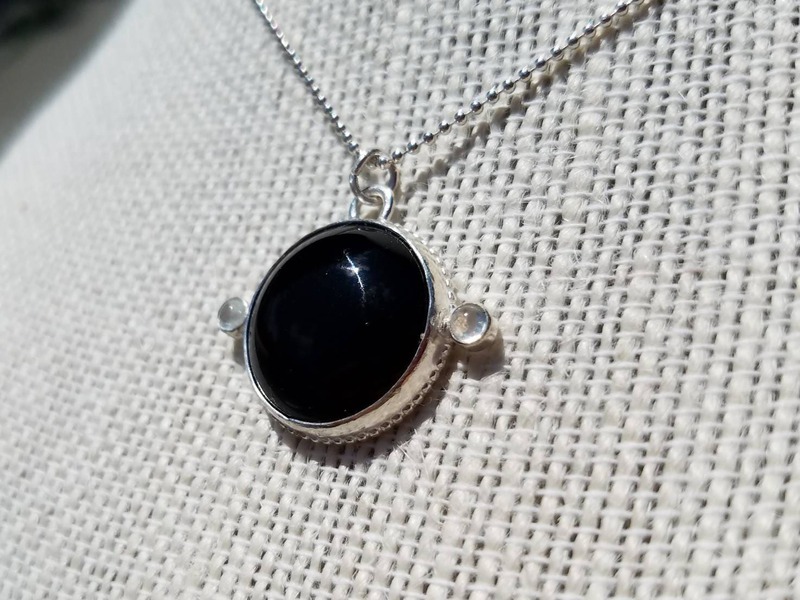 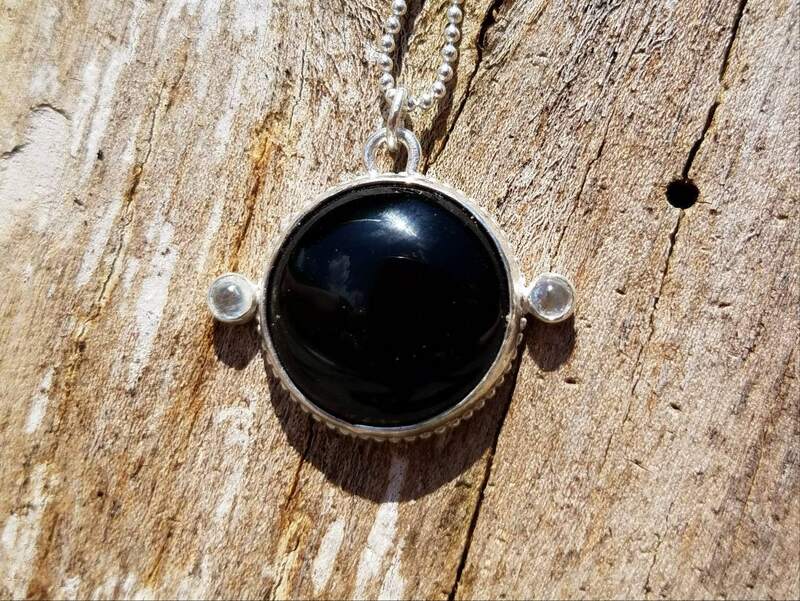 I set this 18mm onyx in a sterling silver beaded open back step bezel and paired it with two delicate 3mm moonstones. 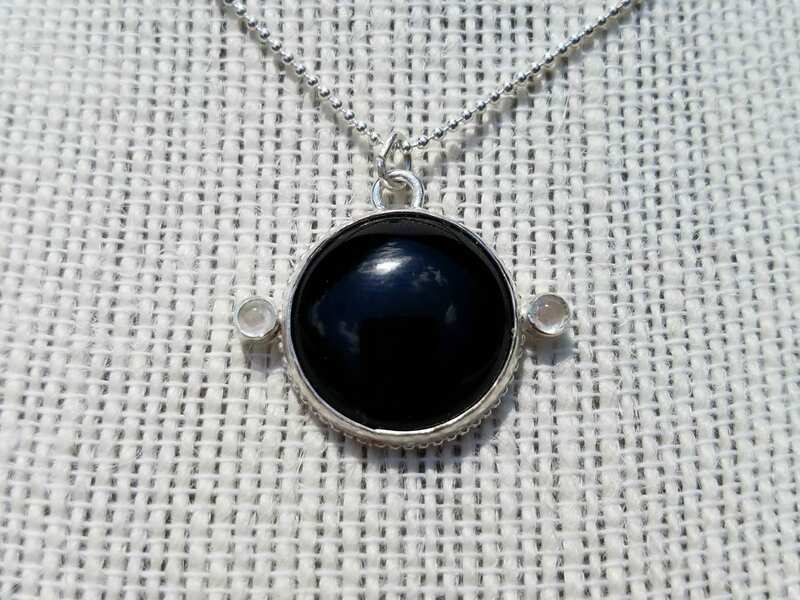 The moonstones add a nice contrast to the rich black of the onyx with their pale blue flashes. 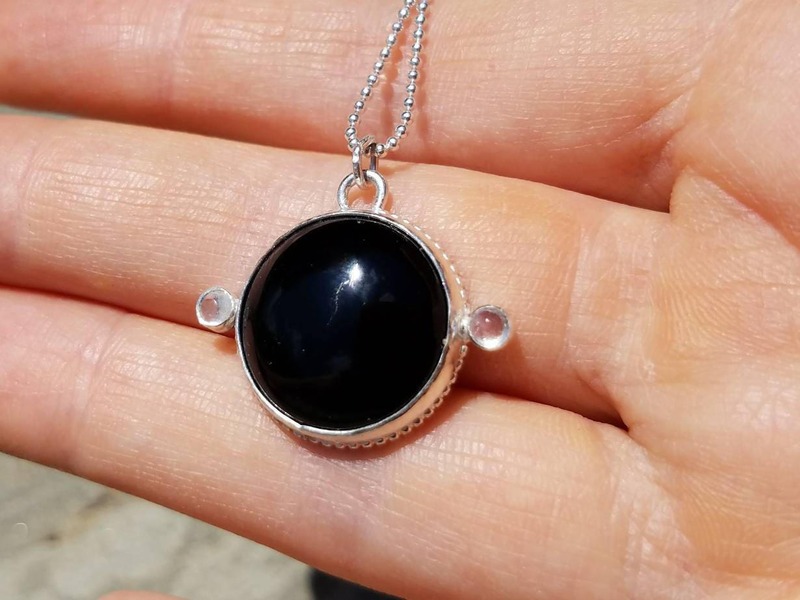 They seem like two tiny crystal balls. 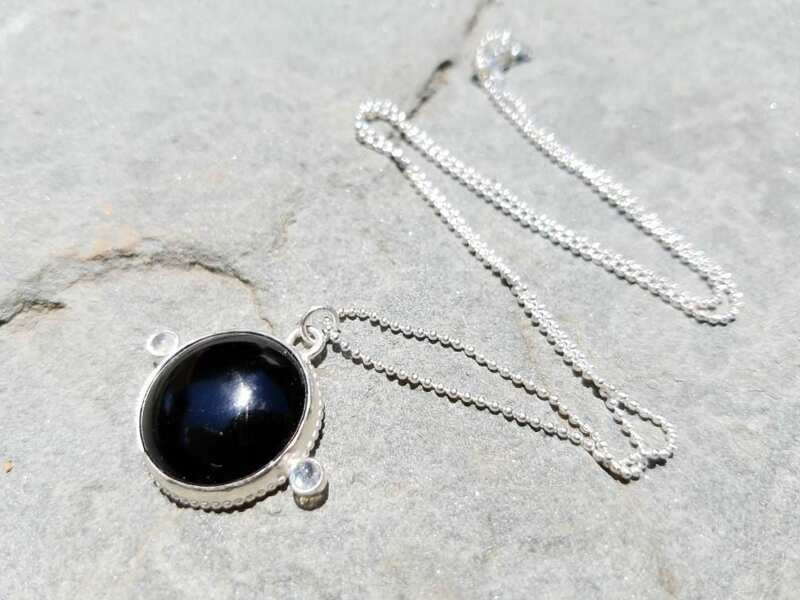 The pendant comes with delicate 18 inch sterling silver 1mm ball chain.